These cubes are great to use with a wide age range of children. They can be great to use for younger children, as another tool to practice vocabulary, naming the pictures of each side. You can lead this on to building up sentences. For 3-5yr olds you can start the story telling process and really encourage the child to use their imagination. If a child is shy or doesn’t know what to say perhaps you could select a few pictures for them that represent moments in their day and suggest they add other appropriate pictures to build up the story of their day. Once a child has the confidence to do this you can really play the game with them by just rolling all the dice and making a story with all the pictures that come at random, no matter how obscure/funny/wild/true it is. Let their imagination run with them! With older school aged children, this could be a great tool to use as secret literacy practice. Although rolling the dice will create a random selection of pictures, look at the fact the a story needs a beginning, middle and end with a plot. Although this has an aim, keep the focus on the fun, imaginative task story telling can be. See what they can create in a small amount of time but in an relaxed, unpressured environment. 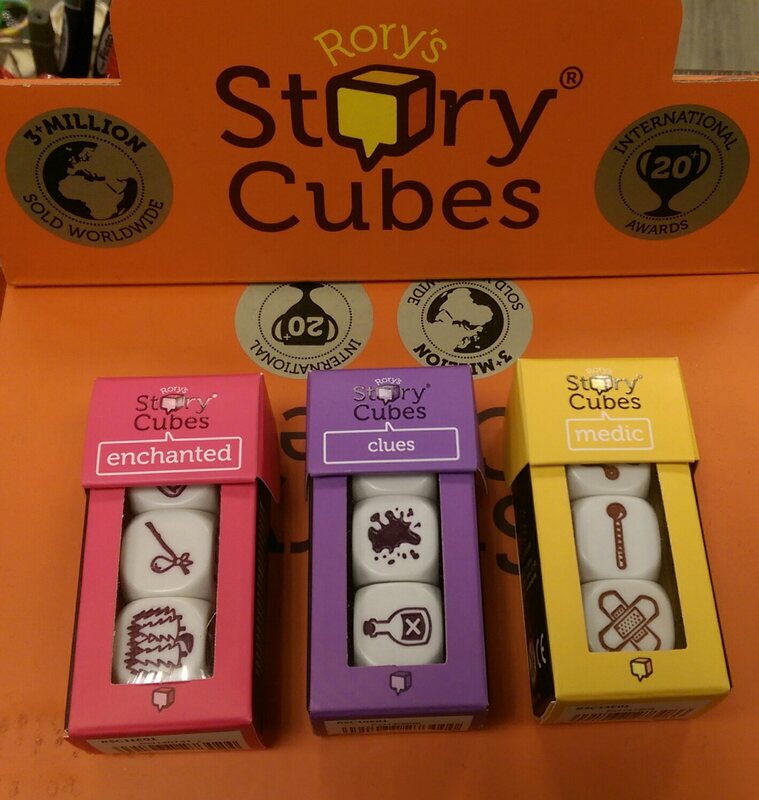 Since we have found a huge range of Story Cubes, check out the website for more ideas, products and even the Story Cubes app.